FAYETTEVILLE, Ark. — Turning a favorite recipe into a marketable product requires more than simply scaling up. 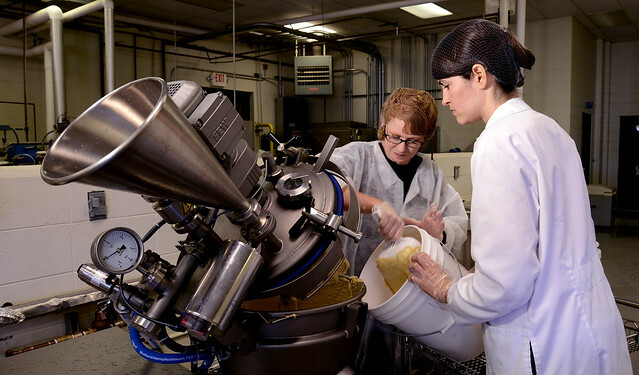 “Starting a Food Processing Business,” a workshop presented by the Arkansas Food Innovation Center, will train participants in the process of taking a product from concept to commercial market. The AFIC is a service of the University of Arkansas System Division of Agriculture. The workshop will be held May 18 from 9 a.m. to 5 p.m. at the division’s Food Science Building, located at the Arkansas Agricultural Research and Extensions Center in Fayetteville. The workshop will cover the fundamentals of starting a food processing business. Participants will learn about related laws and regulations, business plans and marketing, food processing and equipment, packaging and labeling and other essential information. Five participants will be selected on a competitive basis to receive personalized assistance with commercializing their product at the AFIC. For information about the AFIC or the workshop, contact Dr. Renee Threfall at 479-575-4677 or by email at rthrelf@uark.edu. The Division of Agriculture created the Arkansas Food Innovation Center to provide commercial food processing facilities and research-based expert assistance to help both entrepreneurs and non-profit organizations start locally based food systems and industries. The University of Arkansas System Division of Agriculture is an equal opportunity/equal access/affirmative action institution. If you require a reasonable accommodation to participate or need materials in another format, please contact Renee Threlfall at as soon as possible. Dial 711 for Arkansas Relay.